Elvis bathroom before and after. 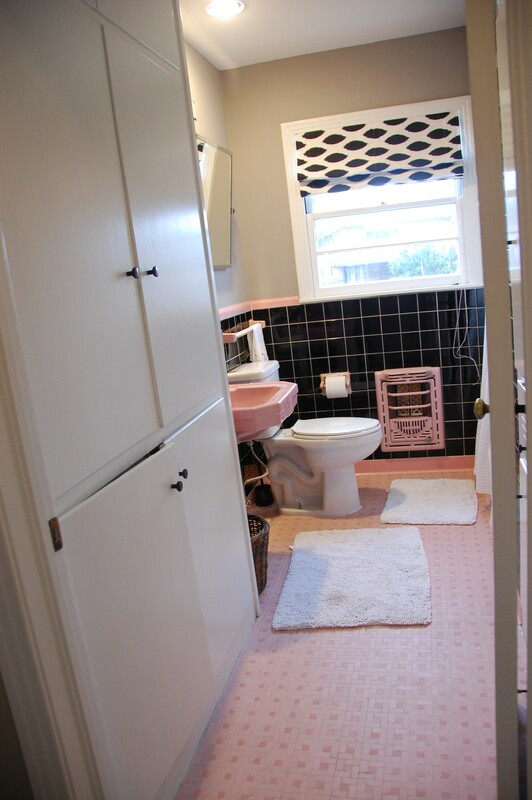 Posted on February 6, 2012 | Comments Off on Elvis bathroom before and after. 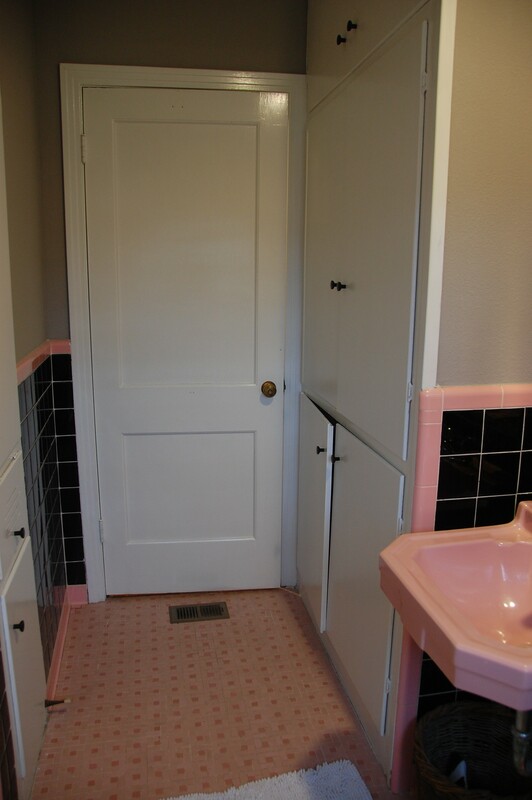 I have mentioned our pink, Elvis bathroom several times on the blog, including here and here. This is what the bathroom looked like before paint and a little love. I love the tile but the bathroom needed a little spiffing up. 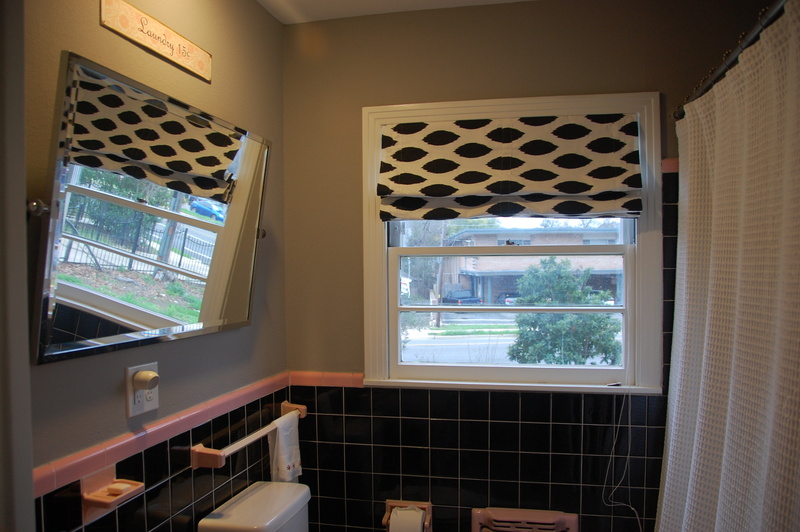 The difference might seem subtle, but with the curtain and the mirror, the room looks finished and feels clean. I am a fan.